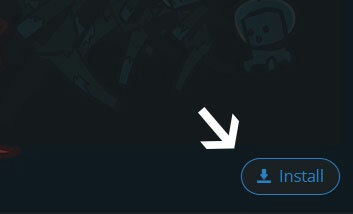 Type in the modpack name (Modded Network PsychoCraft) or paste the following url into the search box. Finally, click Install at the bottom right of the launcher after you select Modded Network PsychoCraft from the list on the left. The launcher will handle everything else! In development by Gilded Games, the Aether II is an extensive mod for Minecraft which implements a remarkable world in the skies. Adventure, danger, and mystery awaits in the depths of the Aether. Have you searched for hours and hours, looking for a way to properly animate your entities? Well look no further! The AnimationAPI is a mini-library that allows modders to (more) easily animate their entities. Baubles is a small addon mod and api that is intended to be used by other mods to add additional inventory slots to a character. bibliocraft by "Joseph 'Nuchaz' Sinclair"
BiblioCraft adds fancy storage containers including bookcases, armor stands, potion shelves, regular shelves, tool racks, glass weapon cases, wooden desks and wooden chest labels and now add machines, redstone interactions, and eyeware, fancy lamps and golden lanterns. Also Tables, enchanted plates, map frames, and seats! This mod adds slopes and a custom variety of vanilla-inspired blocks to Minecraft. The custom nature of these blocks allows players to cover them using most solid blocks in the game. Once covered, they look and act just like the block they're mimicking, but in entirely new shapes! For example, make some obsidian stairs that are resistant to explosions; or, make glowstone take the shape of a pyramid top. With Carpenter's Blocks, building takes on new possibilities! This mod adds in what Minecraft has been missing for years, furniture! It includes over 40 unique pieces of furniture to decorate your bedroom, kitchen, living room and even your garden! Turn your house into the dream house you have never been able to have until now. Download the mod today! chisel by "AUTOMATIC_MAIDEN", "Pokefenn", "Cricket", "tterrag"
A mod that adds in many fancy blocks for decoration, which are crafted utilising the Chisel. Base common code for all chickenbones mods. Main Util mod with all the fixin's This mod is a giant collection of common code used between all my mods. Its technically 4 forge mods at the moment, coroai, buildmod, configmod, and extendedrenderer combined. This mod allows you to modify the main menu using a json file, you can modify the content / position of pretty much everything the vanilla menu contains. 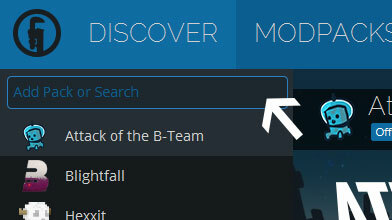 In addition you can also add new stuff to your menu like a slideshow, web links or completely new sub menus. Also contains configuration for modded network modpacks. Overview File Relations Follow This mod is a utility for Mo' Creatures. It allows you to set where the creatures spawn. Without it Mo' Creatures mobs will not spawn. Custom TaskBar mod is made for ModdedNetwork only! This mod was made to make useless ender dragon eggs hatcheable, you can tame the dragon like a pet and make it ride for you and soar in the skies. Once managed by BarracudaAta4 revived by me, TheRPGAdventurer . This mod however has dragon armor(for player and dragon) / tools and firebreathing dragons (added by me), higher dragon health and immunity. A while ago I started tinkering with Minecraft modding as a way to better learn java. I had no serious intentions of ever making a proper mod so I basically threw in every silly and stupid idea that came to me. Most didn"t work or were impractical for a real server but there were a few that I felt had potential and even some that I heard other users wishing they had. So I"ve decided to take the best ideas, polish it up and release it to the community and see if anyone else likes it. Flan's Mod is a huge mod for Minecraft which adds planes, cars, tanks, guns, grenades and more in a customisable content pack system. Enjoy peacefully flying through the Minecraftian skies and driving through your worlds or get some more destructive content packs and stab, shoot and detonate mobs, blocks and even other players. Ore Dictionary Converter is a mod that adds blocks and items that convert between different versions of the same ore using the Forge ore dictionary. This allow ores and ingots to be stacked and use less space in the inventory or chests. To use it, craft an Ore Converter, then right click with it in hand to open its GUI. Adding dinosaurs, fossils, and more to Minecraft. If you have downloaded this mod from a source that is not Minecraft Forums or Curse, be aware you might be using an out of date or unofficial version. SecurityCraft~ Security cameras, Retinal scanners, and more! Mod that makes programming Minecraft mods easier. Currently helps hooking into Players and Worlds, simplifies GUI creation, optimises Minecraft lighting and handles IO. This mod is a shared library required by a couple of my mods. This client mod allows you to easily manage your inventory, in both single player and multiplayer. Iron Chests mod has chests for the various metals in vanilla minecraft with varying sizes! This mod adds many new mobs to specific biomes, dimensions and more. These mobs range from peaceful Makas, farmable mammal-like reptiles with massive sails (watch out for the alphas) to horrific Grues that are made of the very shadows themselves! Expect to see angry elementals such as Cinders spawning from large fires or Spriggans from tall grass and crops! Magical Crops is mod that changes the way you gather and get resources, if you are bored of mining this is a perfect way of keeping your resources high, you can grow most Vanilla items and ores such as Iron ore, Lapis Lazuli and Bones. Also grow many types of mod ores/items, such as Copper, Tin, Lead and Certus Quartz. This mod adds new animations for doors, trap doors and fence gates. It adds new several doors like glass doors, jail doors, laboratory doors, factory doors and garage doors that all have different and original animations. You can also entirely build your doors with a machine that lets you chose the way it looks and the way it moves. MCHeli is an awesome, highly configurable mod which adds a whole load of new planes and helicopters to Minecraft! It has a built-in asset system a little like Flan's Mod, meaning anyone can create new vehicles without any real coding knowledge! This is the core mod which is required to run Opis. Adds placeable statues to the drops of all mobs. This 'should' be compatible with almost all other mods that add mobs. The default drop rate for all statues is 2%. The value in the config is the 1/(drop rate). Setting the drop rate in the config to 1 will make statues always drop. This mod is inspired by super-hostile maps and roguelike dungeon crawlers. With the added insanity of destructible/buildable terrain. Fundamentally the gameplay is vanilla, with the changes mainly being to the world generator. This mod adds a variety of creatures, blocks and structures - as well as a few biomes and a dimension - all with the goal of enhancing the games jungle experience. The Torch Levers Mod adds several security themed blocks to the game. Whether you want to keep a room hidden by illusions and secret levers, or place deadly traps in your fortress -- the Torch Levers Mod has something for you. Waila (What Am I Looking At) is a UI improvement mod aimed at providing block information directly ingame, without the need of opening an UI. A client-side add-on for Waila that adds information about the harvestability of what you are looking at. By default, it shows whether or not you can currently harvest the block, the required harvest level of the block, and the tool type that is effective against the block. Plus, there are many configuration options in the Waila modules configuration screen to tweak it to show exactly what you want it to. Waystones is a mod that adds waystone blocks that the player can return to once they've been activated, either through a Return Scroll, a Warp Stone or if enabled, a button in the inventory screen.